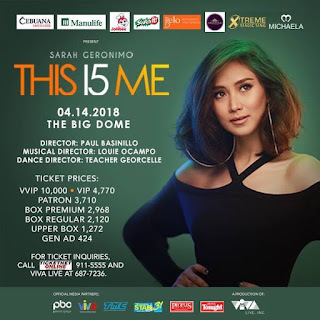 SARAH GERONIMO is all set to celebrate her 15th anniversary in showbiz with a very special concert, “This l5 Me”, at the Araneta Coliseum on April 14, a Saturday. 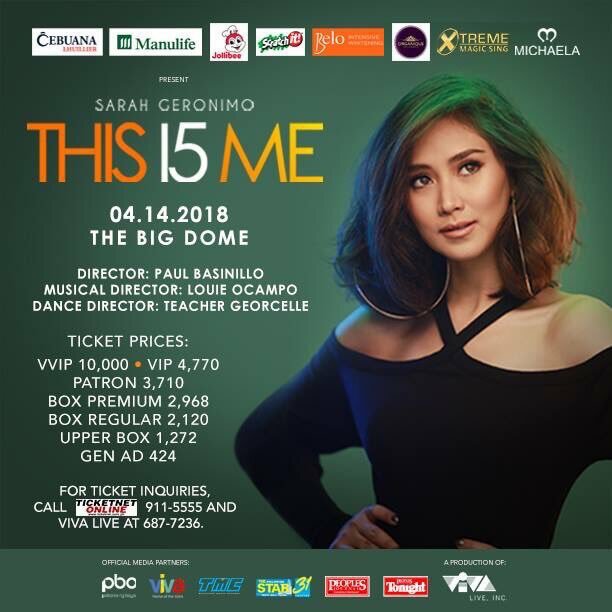 Produced by Viva Live, the concert and events subsidiary of Viva Communications, this extraordinary show is definitely one of the major entertainment events this year since it’s Sarah’s first big arena show in five years. Her last one was “Perfect 10”, the first in showbiz history to be staged both at the Big Dome and the MOA Arena in two consecutive night. “This l5 Me” is a one-night only affair but promises to be much bigger than her last one, with Paul Basinillo as director, Teacher Georcelle as dance directors and Louie Ocampo as musical director. This one aims to showcase her multiple talents and her accomplishments as a singer, actress, pop star and the country’s top concert draw these past 15 years. 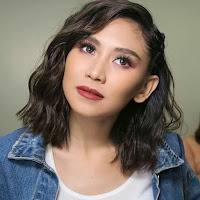 She won singing a cover of Celine Dion’s “To Love You More” then quickly came up with her own hit single in Vehnee Saturno’s “Forever’s Not Enough”. 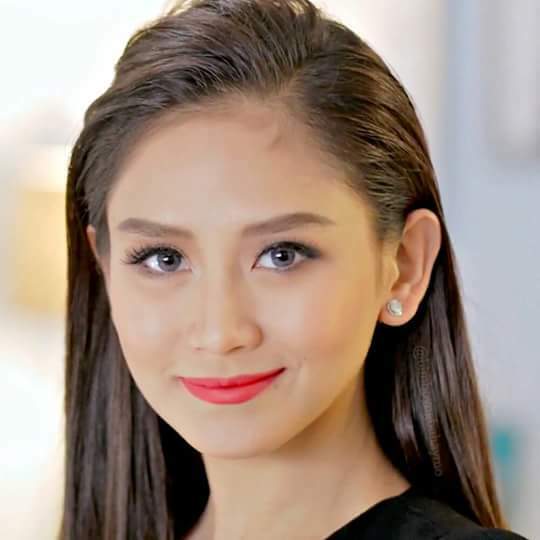 Her career soared as a recording artist, as a movie and TV star, a concert performer, a product endorser and even as a web star. She has recorded a total of 22 hit albums like “Sweet Sixteen”, “Taking Flight”, “Perfectly Imperfect”, “The Great Unknown”. Her hit movies include “Maybe This Time”, “A Very Special Love”, “You Changed My Life”, “It Takes a Man and a Woman”. She’s now filming “Miss Granny”, a musical comedy with James Reid and Xian Lim, directed by Joyce Bernal. On TV, she’s seen regulary on “ASAP” and is a coach in “The Voice Philippines” and “The Voice Kids”. She’s now also finishing her work on a new album, her first after “The Great Unknown” which was released 3 years ago. Her newest single, “Sandata”, is now a hit and is available online. For tickets to her "This l5 Me" concert, call Ticketnet on 911-5555 or Viva Live at 687-7236. VIP tickets are at P4,770, Patron at 3,710, Lower Box Premium at P2968, Lower Box Regular at P210, Upper Box at P1272 and General Admission at P424 only.